Premium Faux Leather Finish, well done vegan and eco-friendly. Kindly choose according to the size chart we attached! Buying it after the measurement, it will be more accurate. 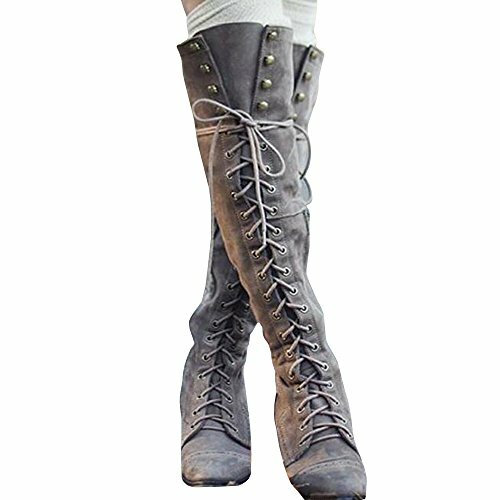 Womens Lace up Front Side Zipper Knee High Flat Riding Boots. The laces can be adjusted to accommate different calf widths. Be stylish and comfortable in this mid heel boots.